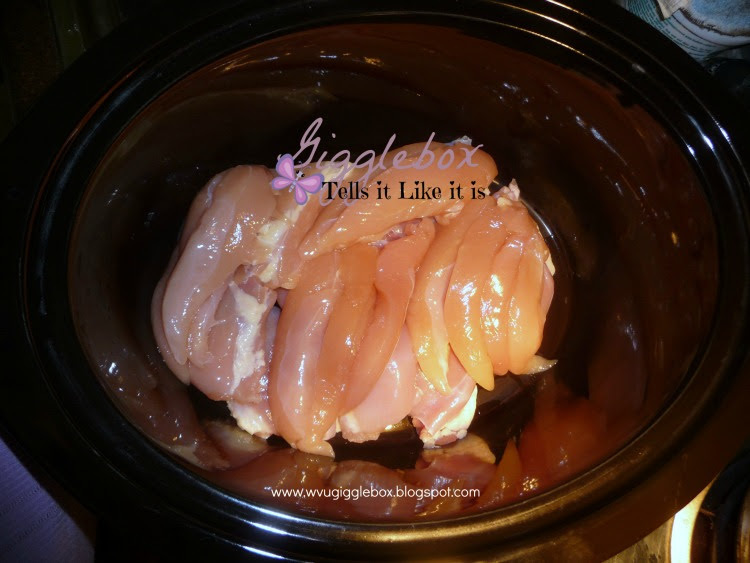 Put your chicken breasts into a crockpot. Mom had bought chicken tenders instead of breasts. Whatever works, right? 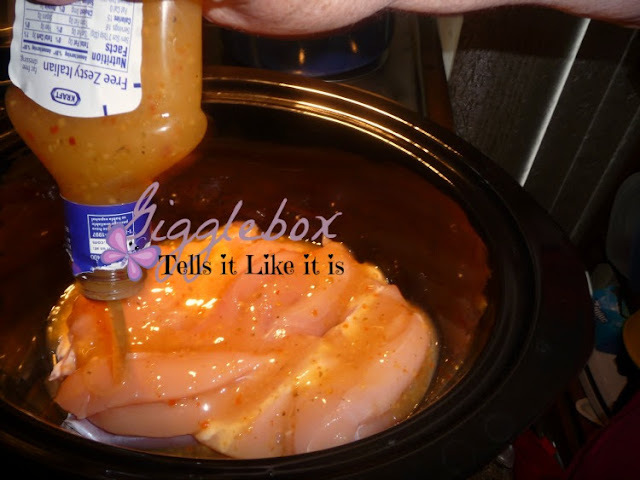 Pour the whole bottle of Italian dressing on the chicken. 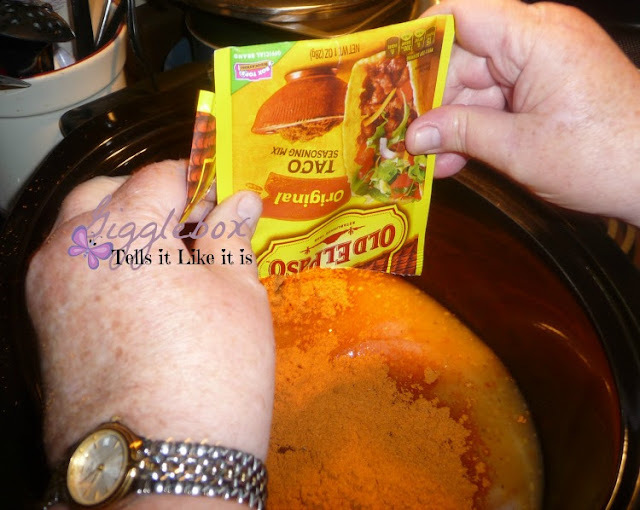 Pour both packs of taco seasoning. 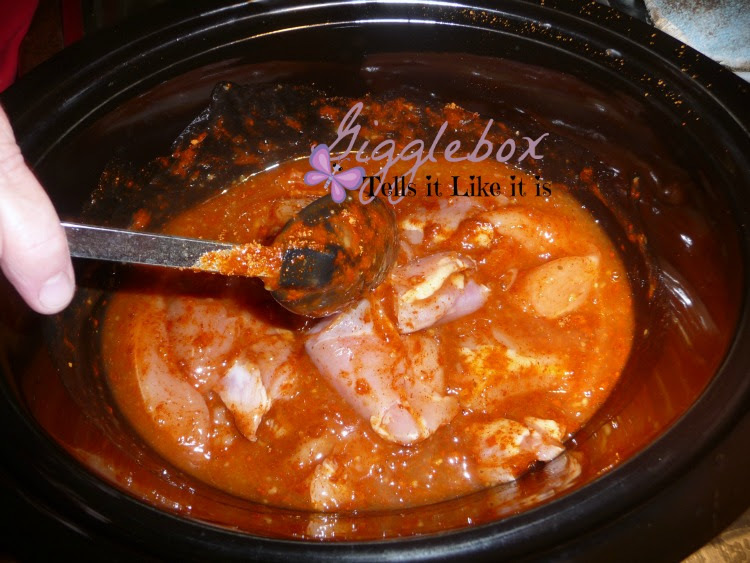 You can use your homemade taco seasoning for this as well. 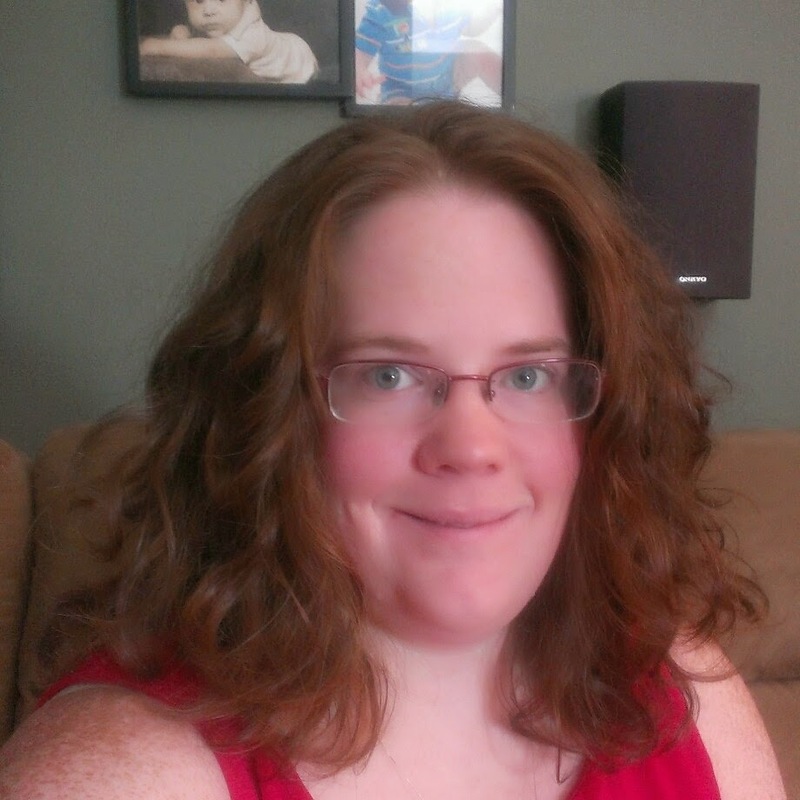 My mom then mixed everything up and put the crockpot on high for 4 hours. After it's cooked, with a fork, you'll want to shred the chicken. 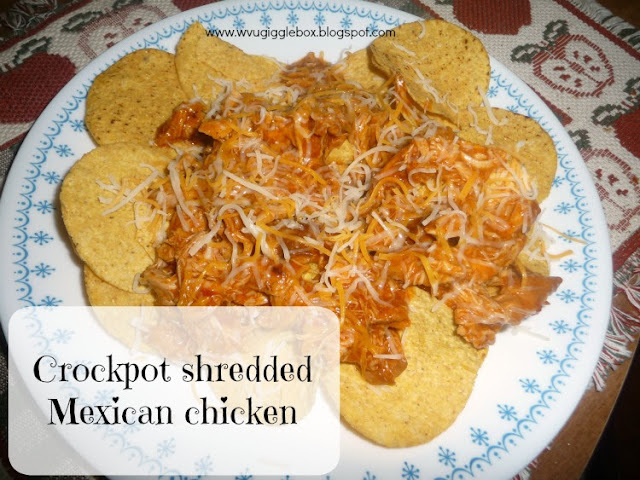 Pour it on a bed of tortilla chips, on a hamburger bun, or like Jon just on a plain plate. 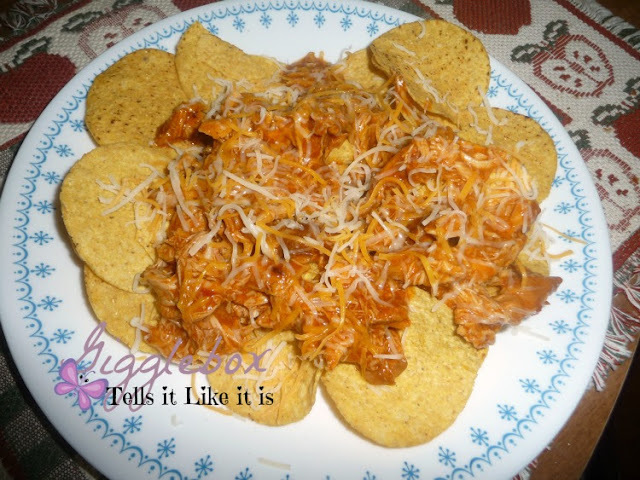 I also added taco style shredded cheese. There you have it, a simple meal that your family will love.